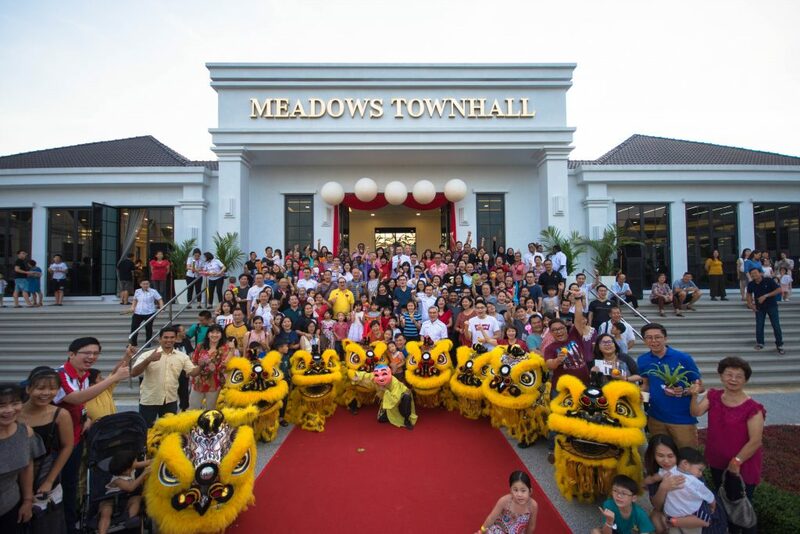 24 November, PENANG – Eco Meadows achieved another milestone today with the handing over of Phase 1, comprising 375 units of double storey terraced homes featuring classic architecture inspired by the stately English royal house. “We are extremely excited and delighted to welcome our first residents to Eco Meadows, EcoWorld’s first project in Penang. 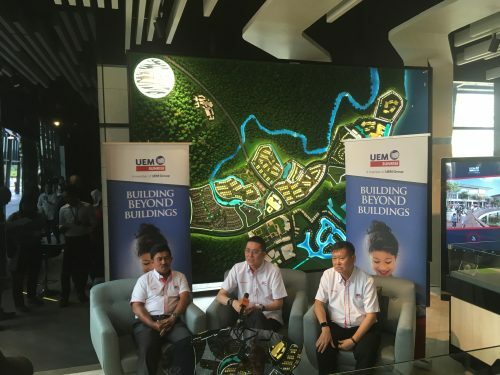 We are also thrilled to showcase the environment and landscape of Eco Meadows as it is a testament of our promise to deliver unmatched product & service quality in all our developments,” said Dato’ Chang Khim Wah, President & CEO of Eco World Development Group Berhad (EcoWorld Malaysia). 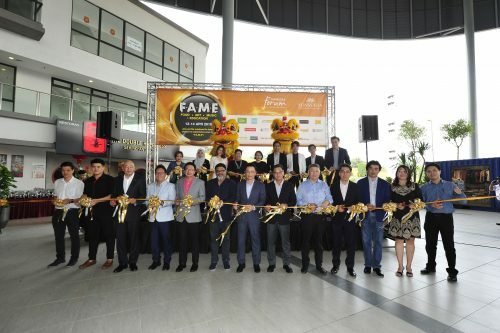 The freehold 76.5-acre eco township in the scenic Simpang Ampat locale in Penang is EcoWorld Malaysia’s first township development in mainland Penang, Eco Meadows offers low-density fully strata gated and guarded homes with clubhouse facilities and 29 acres of commercial precincts. 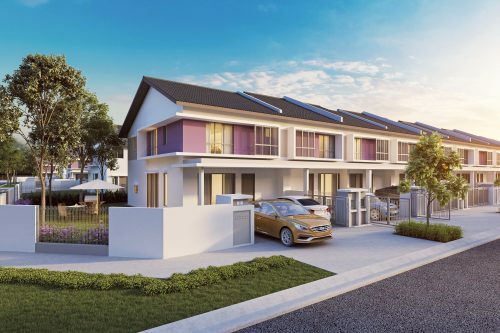 The terraced homes in Phase 1 come in sizes of 20’x70’, 22’x70’ & 24’x70’ with built-ups ranging from 2,206 sq ft to 2,305 sq ft. Prices start from RM815,000. Living up to its name, approximately 20% of Eco Meadows is dedicated to greenery with beautifully crafted walkways and pathways. Apart from that, there are well-planned community spaces which include various gardens such as the Parterre Garden, Tea Garden, Maze Garden, Romantic Garden, Chill Out Garden and the 8,000 sqft clubhouse – Meadows Townhall with facilities such as a swimming pool and gymnasium. Eco Meadows is easily accessible via the North South Expressway and enjoys close proximity to Penang Bridge and Sultan Abdul Halim Muadzam Shah Bridge. 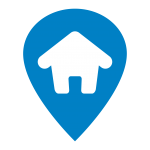 Chang was referring to the Group’s main customer service initiative – the EcoWorld Residence Club (EWRC) which is a one stop service centre that provides Property Care Services & Common Area Support Services. 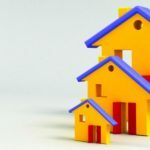 EWRC was set up to provide home support services for all residences developed by EcoWorld and is entrusted with the responsibility of managing and maintaining all EcoWorld developments. Residents and guests were treated to a lion dance with other activities to keep them entertained such as face painting, caricature, DIY workshops and a photobooth with a lucky draw to end the night. Also part of the Eco Meadows development is Eco Bloom, the 4.86-acre freehold mixed development with a GDV of RM283 million comprising a single tower project with 490 residential units split into two wings, and exclusive 23 units of 2-storey shop lots situated below the residential tower. It is also the first high rise condominium within the corridor with an unobstructed city view. The condominium comes in three sizes, with show units available for viewing. Selling price starts from RM405,000. The condominium will include facilities such as a swimming pool, gym, jogging track, BBQ area, multi-purpose court, multi-purpose hall, children playground in addition to the convenience provided by the retail portion of the development. Situated below the condominium are 23 units of 2-storey shop lots which comes in two sizes and layouts – Typical (22’ x 68’) and Corner (35’ x 68’).